Residents like to call Slab City “The Last Free Place”. It may not be the only free place to camp or boondock for the winter, but it’s surely a unique place and it's definitely free! Retired RVers like us are always on the lookout for cheap places to camp in warm climates to spend the winter, so when we heard people talking about Slab City in desert of southeastern California and the 3000 thousand snowbirds who gathered there in the winter, we perked up our ears. We were also curious about the famous Salvation Mountain, a folk art edifice erected at the entrance of Slab City. As we were camped on the shores of the Salton Sea in southern California, it was an easy drive to Niland, California to check out Slab City. Welcome to Slab City, The Last Free Place! A handmade sign at the entrance road to Slab City claims, “Welcome to Slab City, The Last Free Place” and it truly is a mecca for those who want freedom from the humdrum life of the average suburban or city dweller. Slab City is one of the unique places in the U.S. It’s located in southeastern California on the east side of the Salton Sea in the Colorado Desert. It is 121 feet below sea level. Originally a World War II Marine base, when Camp Dunlap Marine was decommissioned by the military, a group of service men continued to live there. It has been inhabited ever since. Live Free and Off the Grid at Slab City. There are about one hundred and fifty permanent residents who live in Slab City year around, braving triple digit temperatures in the summer months, but the majority of the residents are the RV snowbirds who start arriving as early as October to spend the winter boondocking in the hot, dry climate. Permanent residents make their livings in a variety of novel ways. A few collect and sell junk and scrap metal. Others might be migrant workers. Others have small pensions to support themselves. What they do all have in common is their staunch belief that Slab City is a place of true democracy. Everyone is free to live as they please as long as they don't intrude upon the liberty of others. Retirees and snowbirds who winter in Slab City have to be resourceful and adventurous. 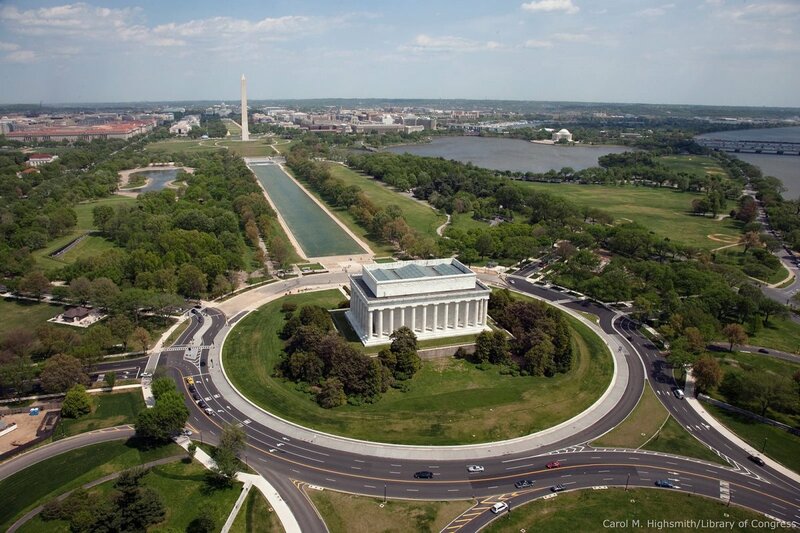 There are no gates or guards, no public services, water, sewer or propane. There are no police or other public services. Residents of Slab City must live off the grid. Many RV'ers who winter in Slab City use solar panels or small windmills to generate their electricity. Others use propane or gas generators for electrical needs. Although lacking in community services, there is a sense of community spirit in Slab City. It may seem rough and lawless, but permanent and winter residents have formed a community that is evident by signs on the bulletin board advertising free jam sessions, occasional potluck gatherings. A community church has been formed and holds services in a roughly built community center. There is also a library and book exchange operated by some residents. Other activities are organized by volunteers, both permanent and temporary. Driving through the area, you see hundreds of rigs of all ages and conditions. There might be 40-year old trailers or very new and expensive motor homes. Some residents look like they live there full time and have set up little yards decorated with cactus or various kinds of junk sculptures. There's a church and someone has set up a library. One place has several old vehicles decorated with all kinds of shiny found items like hubcaps, bicycle parts and car parts. (see picture) Others are set in the midst of trash and various cast offs from years gone by. We dared not ask where people dumped their waste water or sewage, hopefully, at a dump station in Niland, but some places didn't look movable. The tiny town of Niland, California is about three miles away. Campers at Slab City can get propane and use the ATM at the gas station at the south end of Niland. Post office boxes can be rented by those who are there for several months. There is a dump station at the fairgrounds available for a $3.00 fee. Water is available at the grocery store, but you can also pay the local water company to rent and deliver a water tank to your site. There is a free dump and water station about twelve miles south of Niland at a rest stop. The slabs for which Slab City is named are concrete slabs that used to be the floors of military offices and housing units. The buildings were removed long ago, but the slabs remain to be commandeered by RV'ers who use them as parking pads or patios in front of their RVs. While there are many BLM (Bureau of Land Management) areas in the Southwest that have dispersed camping and are well used by Snowbirds (See Camping Cheap), there is no place quite like Slab City. 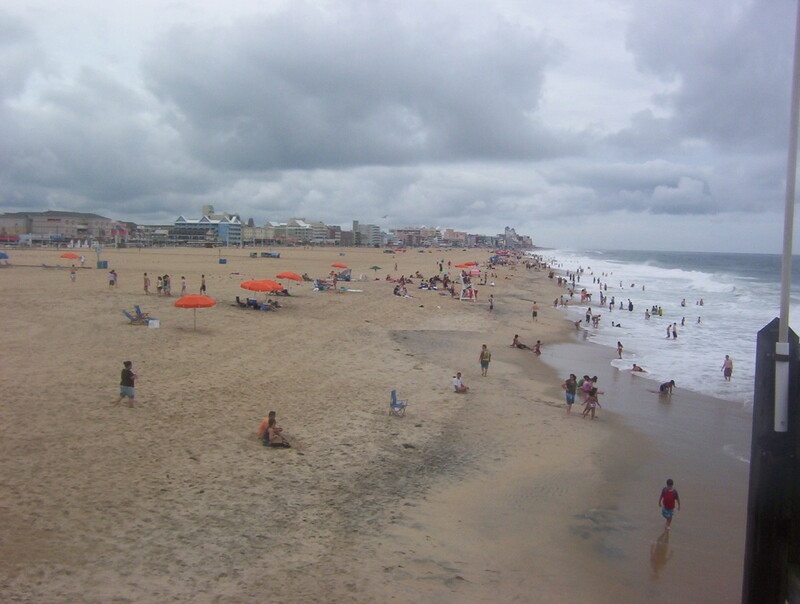 Little communities spring up, sometimes consisting of people traveling together or coming from a common location. They might form a group around one of the slabs where they can hold get-togethers or gather in a group in an open area. Some permanent residents have erected shelters for their belongings, or have commandeered one of the bunkers for shelter and storage. Here and there, you will find items lined up for sale or trade as people are always trying to supplement their incomes. Near the eastern entrance to Slab City is Salvation Mountain, a most amazing piece of work created by Slab City resident, Leonard Knight. 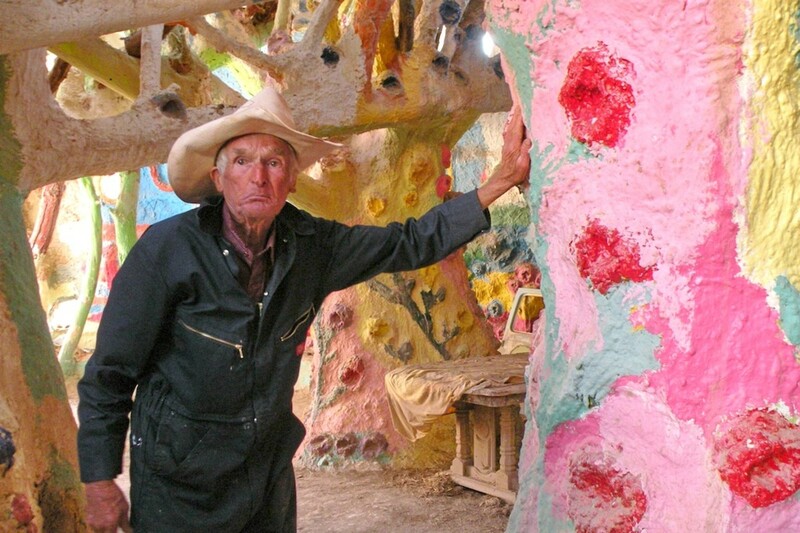 He built Salvation Mountain and it’s outlying “rooms” out of straw, adobe, tree limbs and found objects. Then he covered the whole thing with numerous layers of paint which seems to be the glue that holds it all together. Leonard’s cheerful and primitive paintings and collages decorate both insides and outsides of the structures. He has worked in a collage of biblical quotes, folk art flowers and hearts and his own message of love. Looking past the religious aspect of his creation, it is an incredible folk art monument with verses, flowers, trees, windows, rooms and collages. He claims to have used over a 100,000 gallons of paint on it. Numerous empty cans of paint, all donated, stand in the courtyard as evidence of the quantity of paint he's used. Leonard Knight, originally from Vermont, came to Slab City thirty plus years ago. He is a rugged 78 year old maverick who looks solemn and full of fire and brimstone. But his twinkling eyes give him away. In reality, he is hospitable, good-natured, witty and creative. His mission when he came to Slab City was to erect a cross on top of a small bluff. Today Leonard's project has gown into a mountain; a spectacular edifice of foraged wood, straw and adobe covered with paint and decorated with folk art. 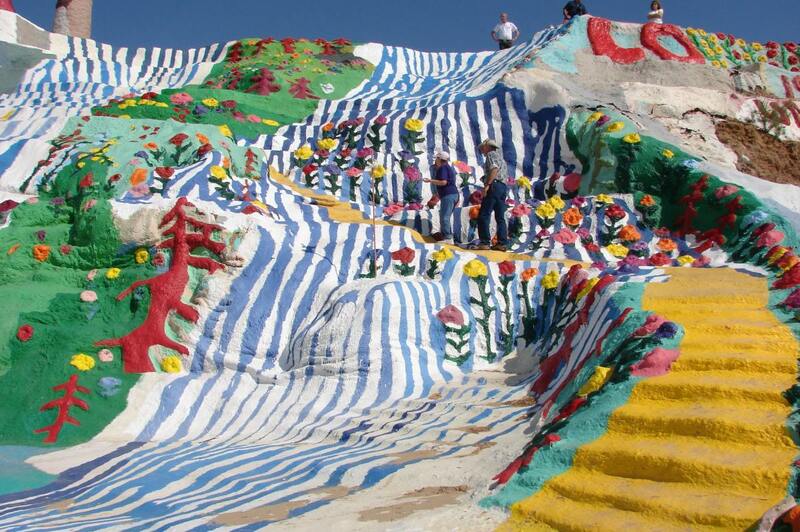 Salvation Mountain has been a work in progress for more than thirty years. Leonard has become an internationally known folk artist whose work has been documented by museums, art critics and journalists. Amazingly, there is a steady stream of visitors who travel to this remote setting to see his creation and meet this eccentric, likable artist. He gives a personal tour to each group of visitors and welcomes questions, comments and pictures. 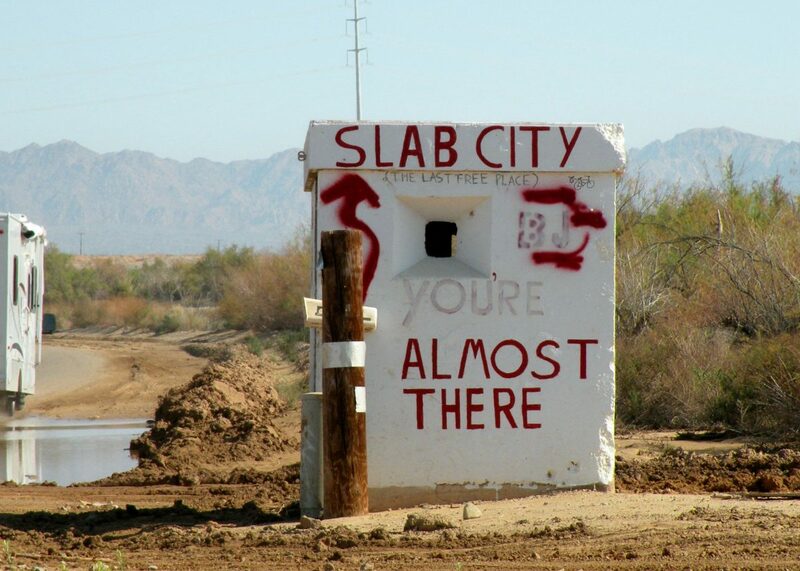 Slab City is not on the map, but it is located about 3 miles south of Niland, California. Locals can point the way. Leonard himself gave us a tour of the inside of his "museum". At the end of his tour he encourages everyone to climb to the top on his yellow brick staircase and then to come over to his van to see him. We were a little hesitant to stop in to see him fearing that we’d be in for either a sermon or a plea for money, but we couldn’t have been more wrong. At his van, Leonard thanked us for visiting and gave out postcards, a CD and a picture puzzle of his mountain. There is no hint of asking for an admission fee or donation, though he graciously accepted a donation when it was offered. He thanked us all for coming, saying that we made his day! We took many photographs of his bright and cheerful paintings which create a joyful oasis in the desert. It was like visiting a small piece of the Land of Oz, and we all left smiling. Have you been to Salvation Mountain? Yes, and I was impressed! No, but it's on my bucket list. 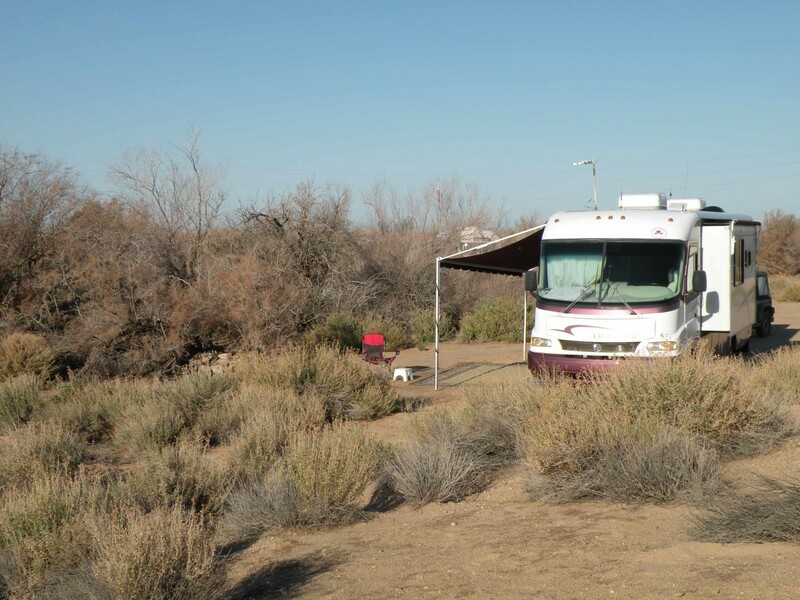 Although we did not camp there the year we visited, we could see groups of RVers congregating together in the same way that they do at other dispersed camping locations in Arizona on BLM land. There might be several rigs from the same state, or a group circled together flying a Canadian flag. Other people, loners, find a spot in the vast desert away from other rigs. For those who think they might like to come here to take advantage of the free camping, be forewarned, it's an acquired taste. But it's definitely worth a trip out of your way to walk up Salvation Mountain, talk to Leonard Knight and see Slab City, "The Last Free Place." In December 2011, Leonard Knight was placed in a long-term care facility in el Cajon, CA for dementia. 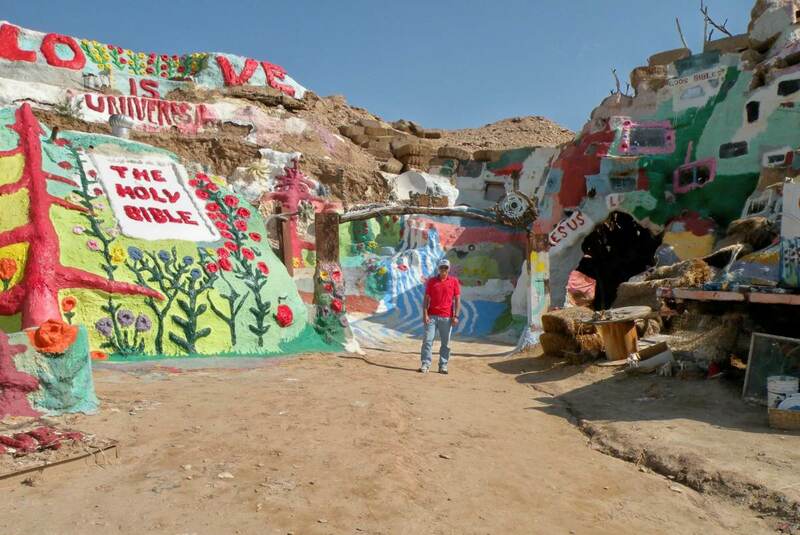 The future of his life's work, Salvation Mountain, is uncertain. A group of local residents near Niland, California, concerned about the future of Salvation mountain, have formed a non-profit board to help preserve the project. There are complex issues surrounding the folk art. 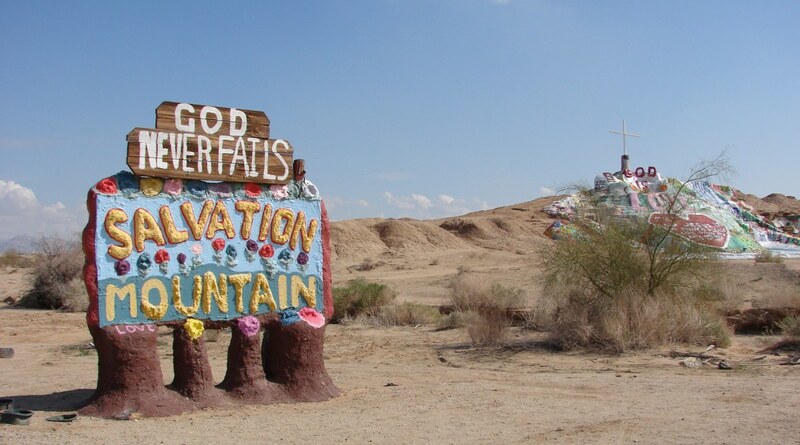 At the moment, no one knows who really owns the land where Salvation Mountain stands; is it state land or federal land? Another problem is that Salvation Mountain is built of somewhat unstable materials which will deteriorate over time if not maintained. The board feels that there should be a full time caretaker in residence at the mountain, but without funds, they are unable to hire someone. 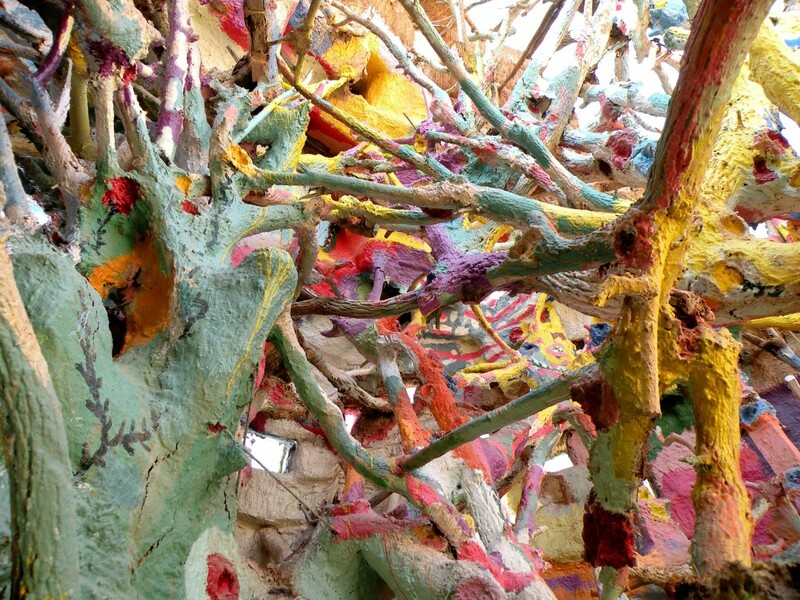 The fate of Salvation mountain is, at present, uncertain. As more information becomes available, I will update this segment of the article. Tututuesday - Forgive me if I've treated Slab City too lightly. As a full time RVer for many years, I realize that living off the grid in a place like Slab City is hard work. I can imagine that there is quite a difference between people who make Slab City their year around residence and the snow birds who visit for a few months. Although our main reason for visiting was to visit Salvation Mountain, we were fascinated by the huge community of Slab City residents and the way the people seem to come together to make it a real community. It's an amazing place, and I imagine that life there is quite an experience. Thanks for writing and giving your valuable insights as a resident of Slab City. As a former Slab City resident I find your article well written but maybe too informative. There has been so much hype on this "last free place" but its really not free at all. People glorify with fancy words but its trying and complete survival living off the grid. I enjoyed every single moment, yes, but its not a easy as most articles make it out to be. Washing your clothes in a canal, bathing in a hot springs, eating by campfire most nights, killing and skinning quail and rabbits. I did all this alone for almost a year, in a Tutu, hence my surname LOL. I've made life long lasting friendships and as Salvation Mountain is amazing I find that the permanent fixtures like the tanks and Range make the Slabs home. The Mountain welcomes you, very satisfying to see especially daily but not too many people make it past there or do a dive by tour of theb residents. I often felt like an animal on display at the zoo in my natural habitat. Most locked their doors which I found amusing as most of us live in tents. Meeting visitors is preferable. I've even invited some to camp as I had an extra tent. Enjoy slab city, yes, but also don't treat us like an article. I'm glad to hear that Salvation Mountain is now legally a non-profit and that there are people looking after it. 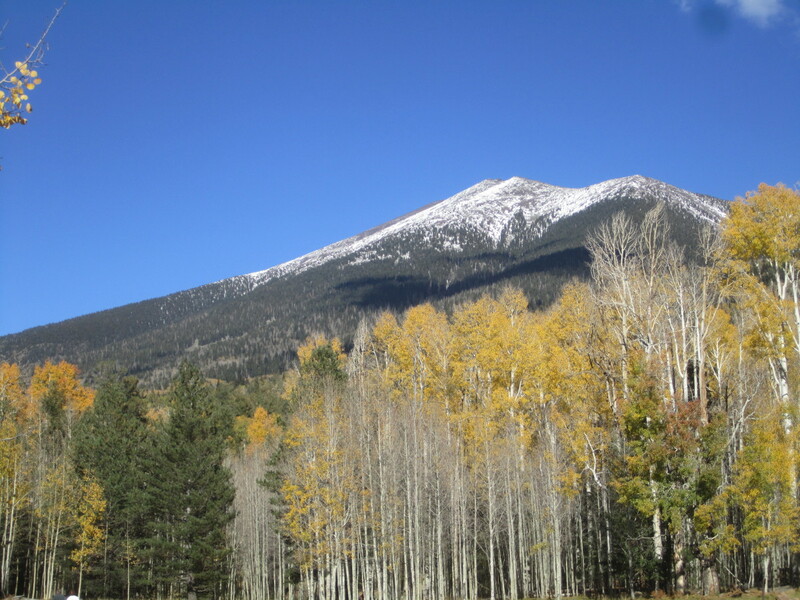 The mountain is a work of art, but will need constant oversight if it is to survive. I'm deeply grateful to have had the opportunity to see it while Leonard Knight was still actively adding to it and greeting visitors. Thanks so much for your update on the non-profit! Sometimes it's amazing where an excellent article such as this one will lead me. I have just been to Salvation Mountain (website and fb page) and enjoyed my visits enormously. 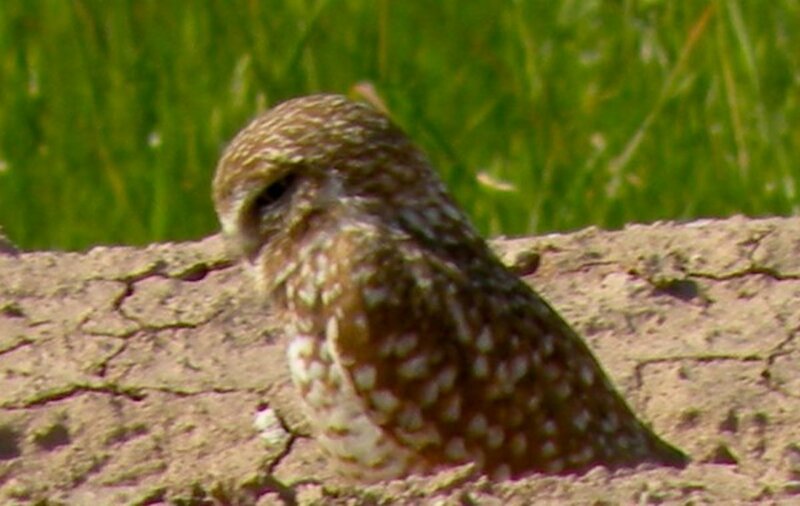 After reading your words and scouting around, I feel like I just dropped in on old friends and sat for a spell. I was glad to learn that, on July 23, funding was established for the non-profit, and Leonard's still kickin'. Sunshine625 - Haha...I'm sure that someone was making ribs there, but we weren't invited. :( One of the things about these large dispersed camping areas is that you often smell some REALLY good food cooking! Malometer - Leonard Knight is an amazing folk aritist, and I do hope that his work is preserved. The last time I checked, there was a Facebook page for Salvation Mountain with information about Leonard Knight, but the link I had went bad. There is one good website about Salvation Mountain, but as far as I know there has not been a non-profit set up to collect donations. What an interesting story, I like the artwork. It is good that they have formed a group to try to preserve this folk art. Has it got a webpage? that may be used to raise some funds. Voted up and 4/5 buttons. Erin Kelly Booth - Thanks so much for your inspiring comments! I'm so glad you enjoyed the article on Slab City and Salvation Mountain. With Leonard Knight no longer in residence, the future of the folk art at Salvation Mountain is uncertain. I do hope you are able to see it while it is still there and in good condition. Thanks for stopping in! That was very interesting, and very entertaining, too! Thank you for the awesome insight into this fantastic place on planet Earth, Stephanie. You are an inspiration to me, fledgling writer that I am. I will definitely be reading more of your work, and will recommend you to friends and relatives, too. 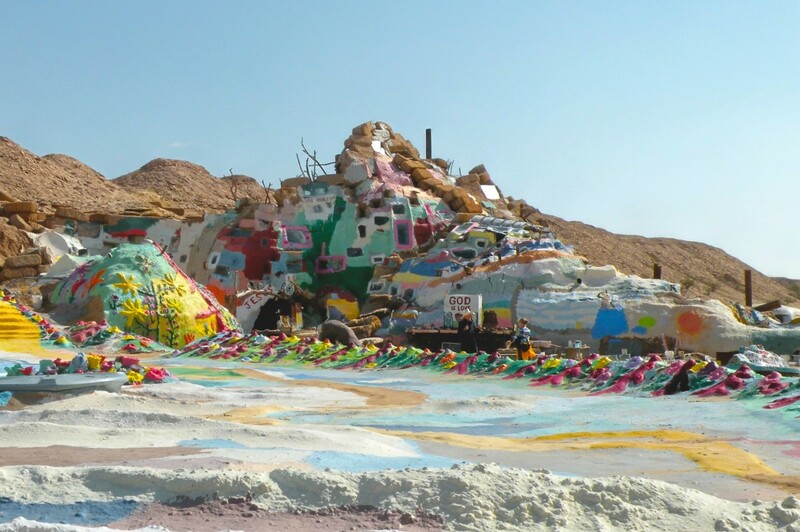 This summer, I will make a trip out there to specifically see Salvation Mountain first, but Slab City and its inhabitants as well. Thank you for the awesome tour! It would have been an interesting trip, to say the least! I have heard recently that Leonard Knight, the creator of Salvation Mountain, is no longer there because of health issues, but I think that there are people looking out for the place. WOW! I wish we would have known about this place when we lived in Cali. Makes me want to go back for a visit :) GREAT hub! Mom camped in tents. She hated camping after the Army. Thankfully all the camping my dad endured didn't bother him. He still took us lots of places and mom enjoyed the peace and quiet at home. Slab City is definitely a unique place, and certainly a far cry from any military base past or present. But the desert around it probably hasn't changed that much. I still see it as place for strong minded individualists. It would be so interesting to hear your mom's stories! Thanks for stopping in to share your comments! Enjoyed this hub. Have always been intrigued by that area of the desert. 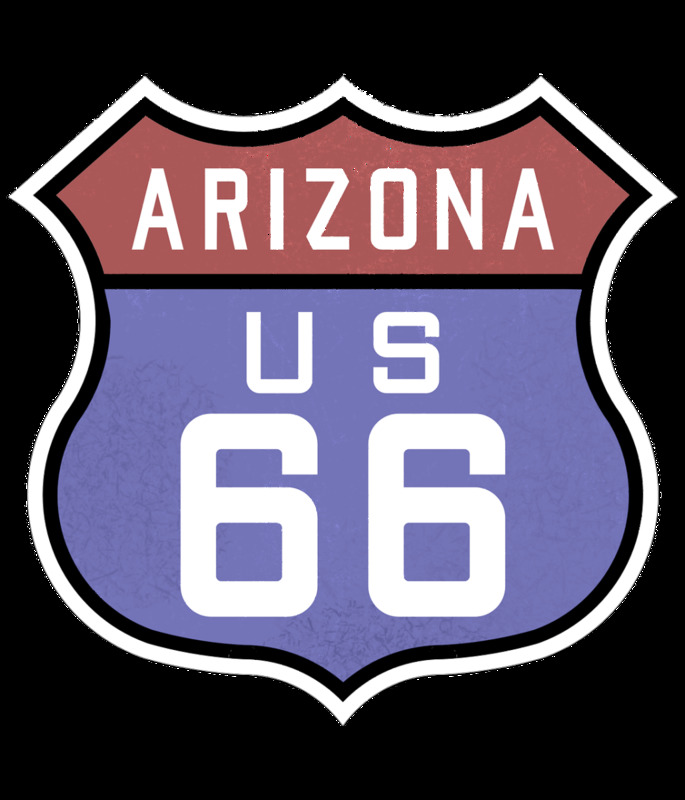 My mom was stationed there during WWII and has told me lots of stories about living in the desert. Your pictures really brought the area alive. Cheers to Slab City! Very good point. Let's hope it remains as a last resort for the desperate . Thanks for the heads up on the recent news about Slab City. I'll check it out. It is a huge place and one wonders how it maintains its equilibrium. 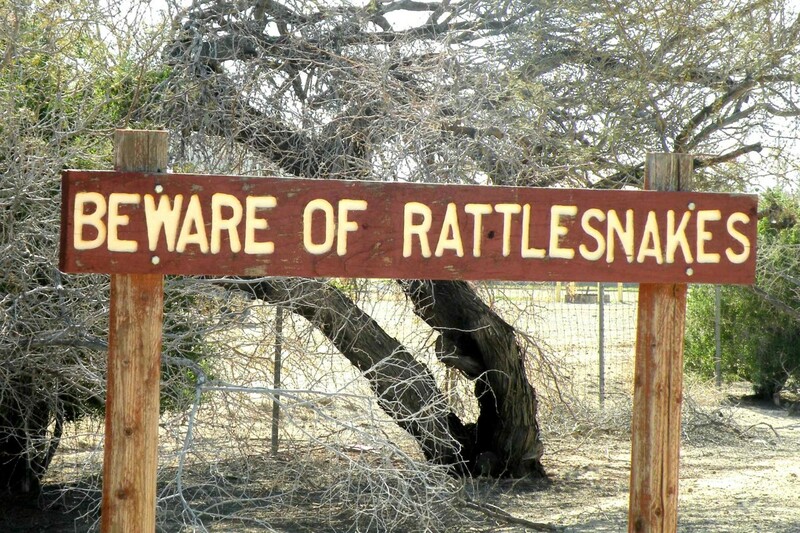 We did not camp there when we visited, but it was obvious that any rules were unwritten and self-enforced. It's quite a place, though, and I'm glad that there is such a place for those who would otherwise be homeless. I hope that the dramatically increasing population doesn't cause problems that will necessitate closing it to the public. 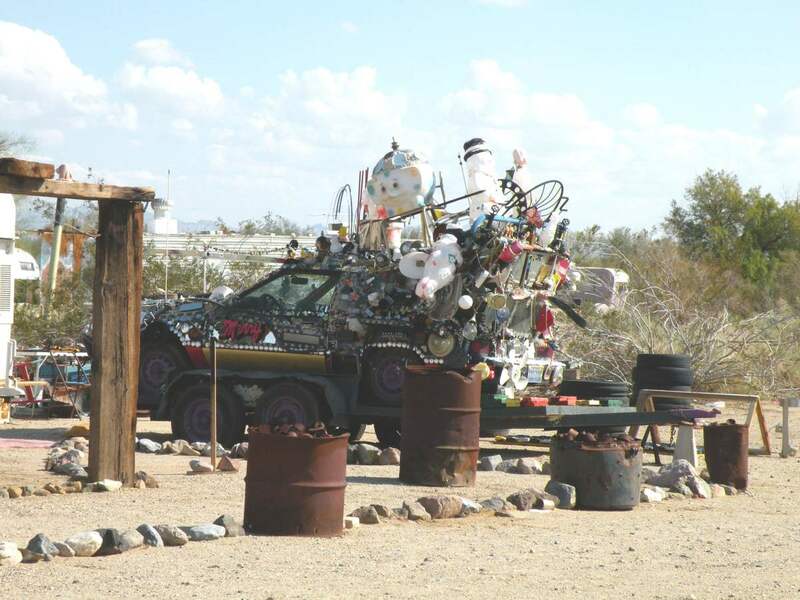 Slab city has just been in the news as its population has recently doubled because of the sad state of the economy. Many desperate folk are camping out there as a last resort. Slab City is somewhat of a legend among full time RVers, though camping there is definitely not for everyone. However, a visit to see Leonard Knight's Salvation Mountain construction is well worth a side trip to this otherwise desolate area. Glad you found it interesting! Thanks for visiting and for your comments! Thanks for stopping by to read and comment! Slab City and Salvation Mountain are definitely unique! Stephanie, never heard of this valley before and how different and exciting. 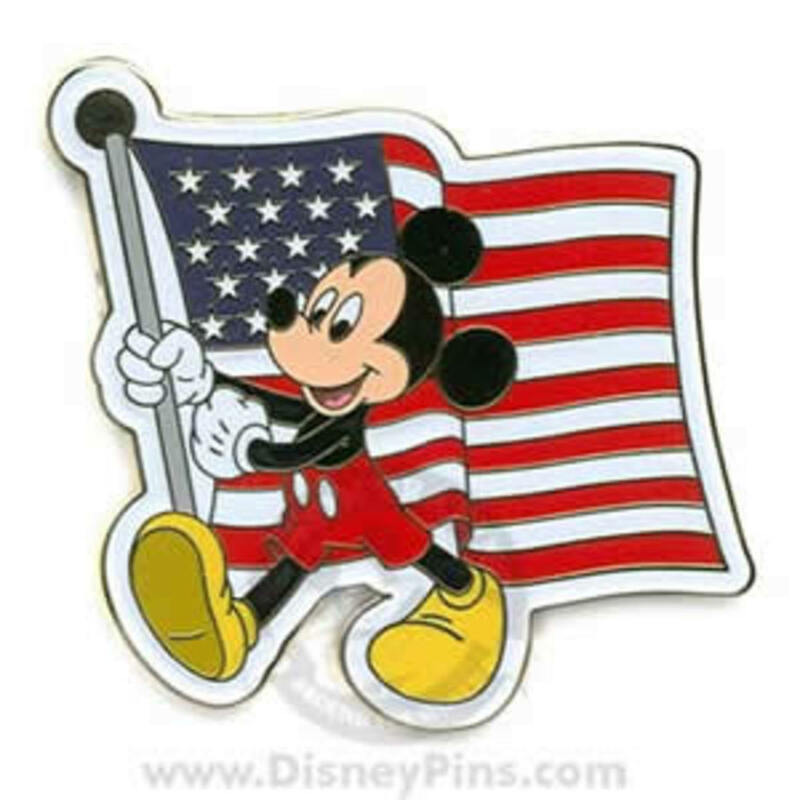 Its definitely for the explorer in us. Wonderful and interesting hub and thanks for sharing this with us. Oh the place rocks!! :) thanks for introducing us to such a great place. You're welcome! Thank you for visiting my hub! 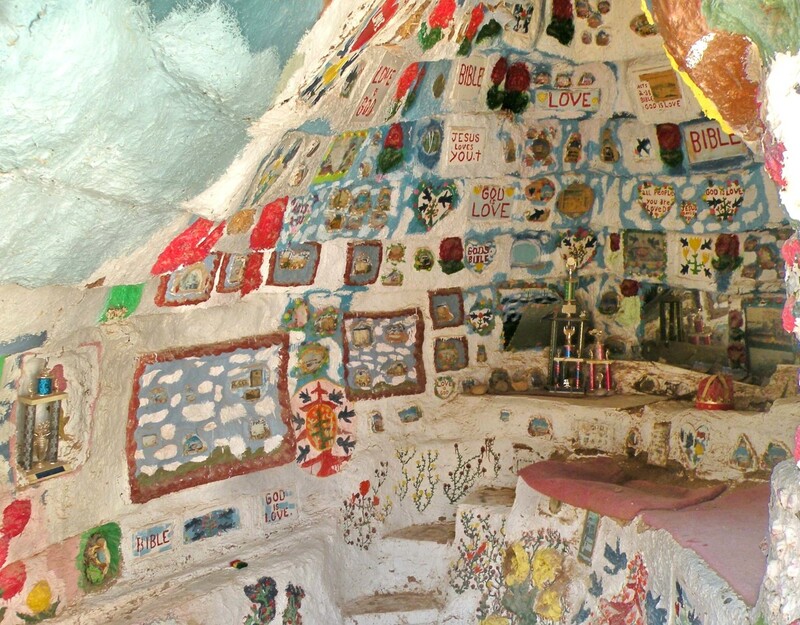 iZeko, Salvation Mountain is a one-of-a-kind place - a folk art masterpiece in the middle of the desert! Thanks you for your comment and for stopping in to read my hub! I’ve never seen a place like this one. The Salvation Mountain is definitely unique. You would make a great tour guide! Hello Gypsy Willow, RVing is a wonderful way to travel. Slab City has pros and cons, but it's definitely worth the trip to see Leonard Knight's folk art! Thanks for visiting my hub and for your comments. This sounds like a wonderful way to travel. I love road trips and ending up somewhere like Slab City would be exciting. May be one day I will get the chance. Great hub! Thanks for your comment, Steve. Slab City is quite an interesting place, and Leonard Knight's folk art is not to be missed if you are in the area. I remember your question about hitting the road in an RV as I believe I answered it -- there's no time like the present! Seriously, it's quite a freeing experience, and there's no better way to see so much of the country first hand. I wish you well with your "to do" list! Great hub here, I once asked the question on webanswers about is it a good time to pack it all up and take out on the open road in an RV. Well my friend you have answered my question. 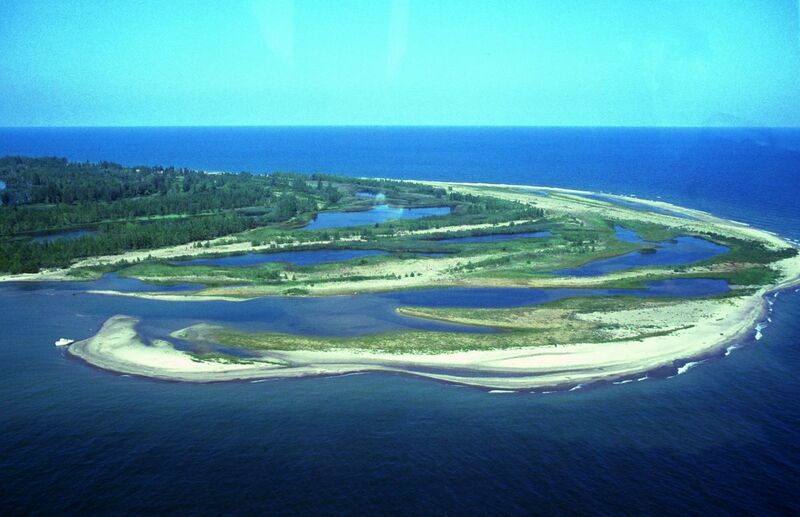 I find it very fascinating about the World War II Marine base that used to be in that location. As well how not everyone left and it is still there inhabited even today. I will make sure to add it to my "to do" list when I am old enough to afford an RV and hit the open road. It looks stunning, and I would love to visit the Colorado Desert. Thanks for the great information. This is very nice to read! Our 22 yr, old grandson and two of his friends and their two dogs are in SLAP CITY! Seems they plan to be living there the next few years~ They were there last yr, at this time but came back to Michigan but are once more in Slap City! Hope to see them soon! Looks very cool, for the young at heart! Thanks for visiting my hub, gr82bme. If you go, I know you will find it fascinating. Thanks for visiting my hub, Rodric. My list of places to see is also growing. 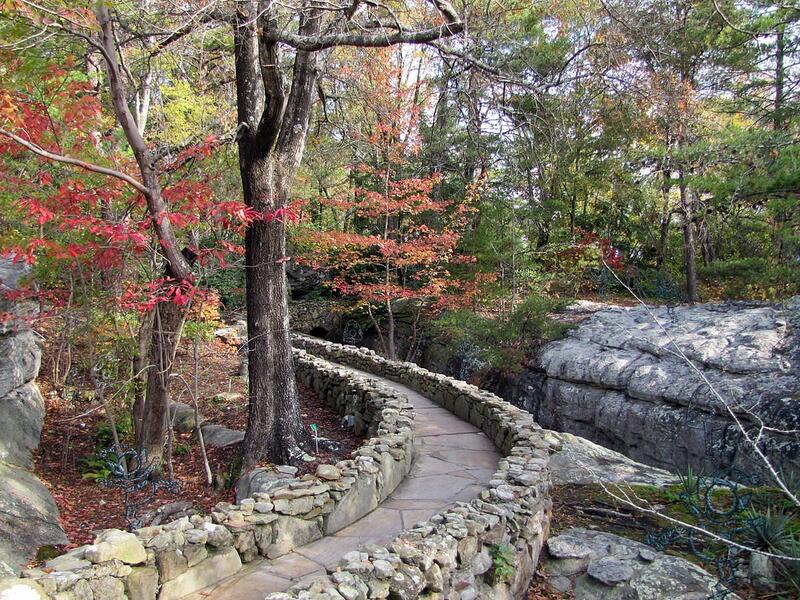 This is one that's definitely off the beaten path. Wow what a cool place! Gonna have to add it to my growing list of places to see! It's so nice to have you visit my hub! This is one I had fun doing as it gave me a chance to review all the photographs I had taken at Salvation Mountain. I'm so glad you enjoyed it. Leonard Knight certainly is a free spirit. It was inspiring to meet him. Thanks for your kind comments! Meeting Leonard Knight was interesting, to say the least! 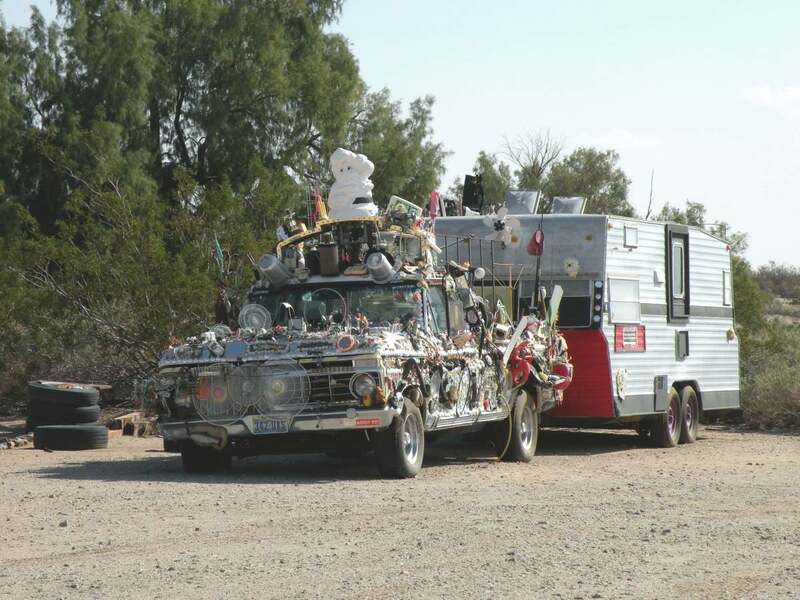 Slab City is definitely a rugged place as anyone camping there is boondocking in the most primitive conditions! We often boondock, but haven't tried this one, yet. Thanks again for reading my hubs! Just when you think you've seen everything there is to see.....someone like Leonard Knight shows up and opens your eyes to a most unique way of living! I could see why he attracts so much attention in the world of folk art. Loved your photos of Slab City. I think it's cool how the residents have formed a whole community, but it would surely be too rugged for me. I enjoyed reading about it, though. Thanks for sharing another unique and interesting hub! Thanks Peggy. We thought it was worth the effort to see it, and were amazed at how many people found the place in such an isolated and desolate area. I wish now I had taken more photos of Slab City -- library, church and various little "communities". It's quite a unique place. This must have been so much fun to actually see this in person! It is amazing that this piece of folk art called Salvation Mountain is just held together by straw and paint. Slab City would be worth a visit just to see this most unusual spot. Thanks for all of your photos and the "heads up" on this location. Yes, the whole place is awesome, TravelMan. Being out in the desert as it is, the Salvation Mountain structure really does stand out! Thanks for looking at my hub. Always appreciate your comments.